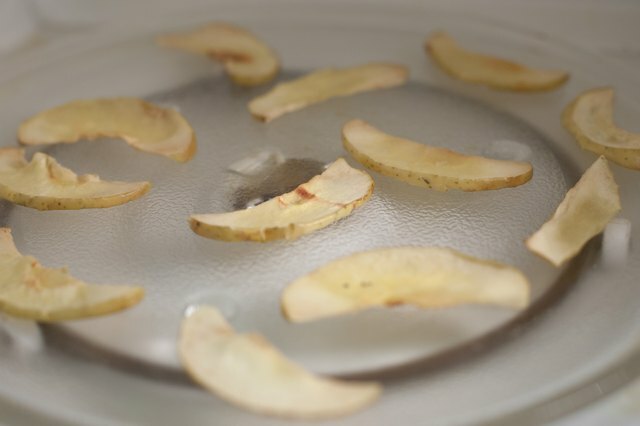 Though fruit can be dried in an oven or food dehydrator, drying fruit in the microwave is a quick alternative. 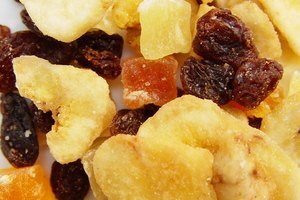 Drying fruit preserves the majority of the nutrients, and it's great to use in baked goods and granola. 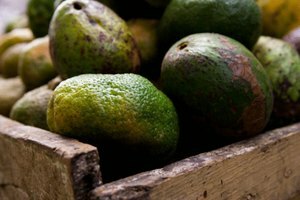 Good candidates for this process are hearty, juicy fruits such as apples, mangoes and pears, although grapes would also work. More delicate fruits such as bananas don't work as well because they are damaged by the heat. 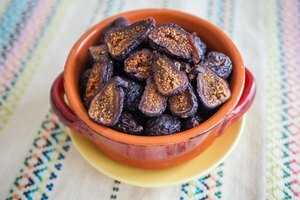 Follow these five steps to have a delicious dried snack! Wash and dry the fruit. 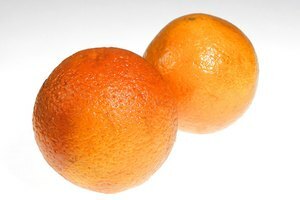 Peel it if desired and core and slice it thinly. Fruits such as grapes don't require this treatment, as they are small and their peels will shrink down with them. 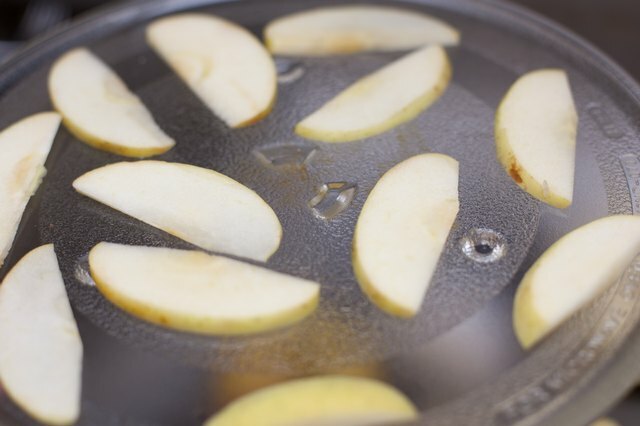 Douse any fruits that may turn brown (such as apples) with lemon juice diluted with water (about a tablespoon of lemon juice to a cup of water). 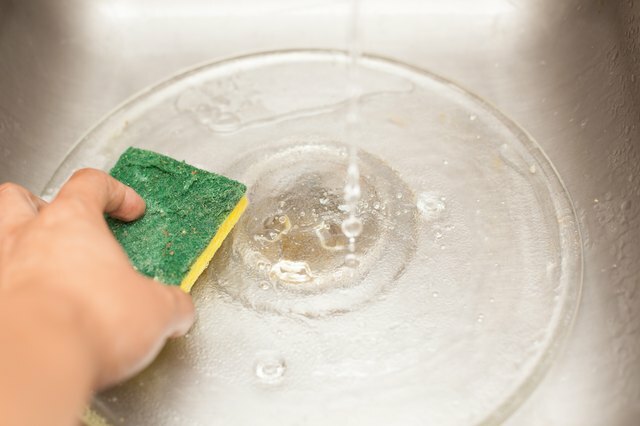 Wash the turntable tray in the microwave with dish soap and hot water. Dry it thoroughly. Wipe down the interior of the microwave if it's dirty. Lay the fruit directly on the microwave turntable. Make sure to evenly space the fruit to allow the air to circulate around it. Set the microwave to defrost and microwave the fruit, flipping occasionally, for 30 minutes. Check the fruit. If it is still too moist, microwave it at 5-minute intervals for up to another 15 minutes. 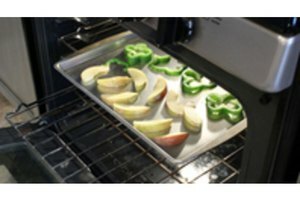 Allow the dried fruit to cool. Store in airtight containers with lids for up to 2 weeks.